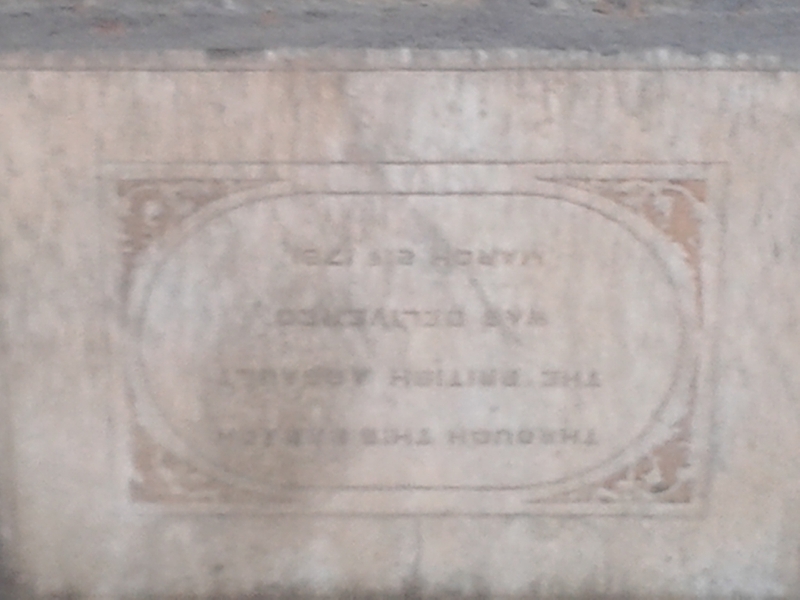 The inscription reads: “Through this breach the British assault was delivered March 21, 1791.” I guess that means that the 223rd anniversary of the British attack on Bangalore is right around the corner. Bangalore Fort is a tiny piece of the 16th century Vijayanagar fortification that remains intact–it’s all that remains. 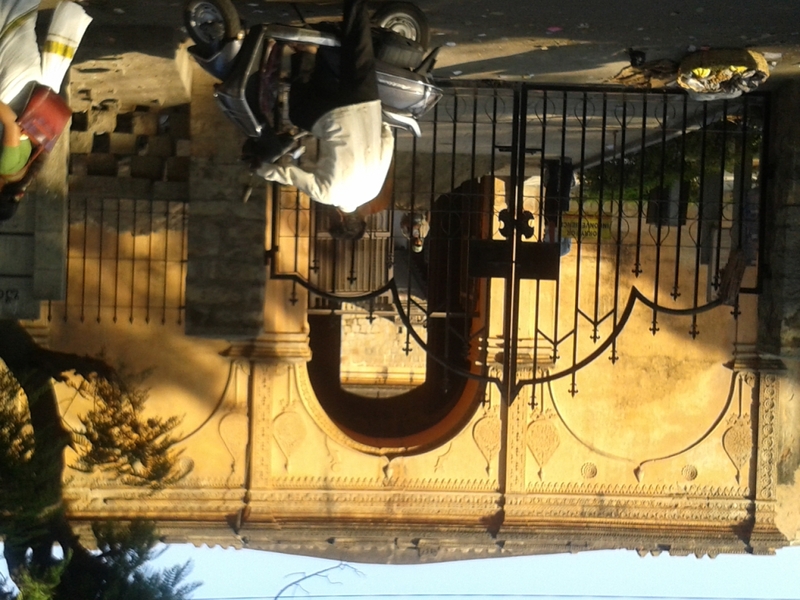 It’s located between city market and Tipu Sultan’s Bangalore Palace. As it takes only about 10 minutes to walk through, a lot of people don’t even realize it’s there. 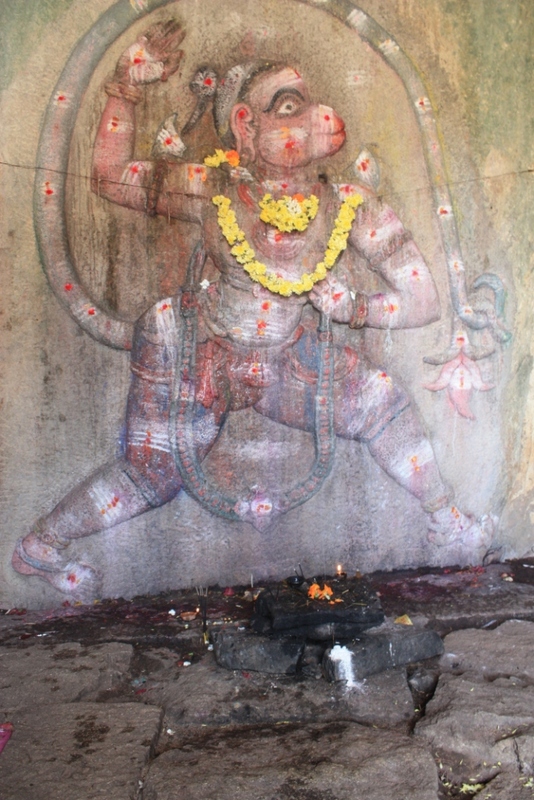 Among the many devotees of this Hindu deity are wrestlers, who admire the monkey-god for his reputed strength. In Rama’s war against Ravana, he was said to have picked up a mountain and carried it a great distance, which is pretty strong. This Hanuman temple is a small, stone-block affair abutting a giant boulder on the trail from Hampi Bazaar to Achyutaraya temple. 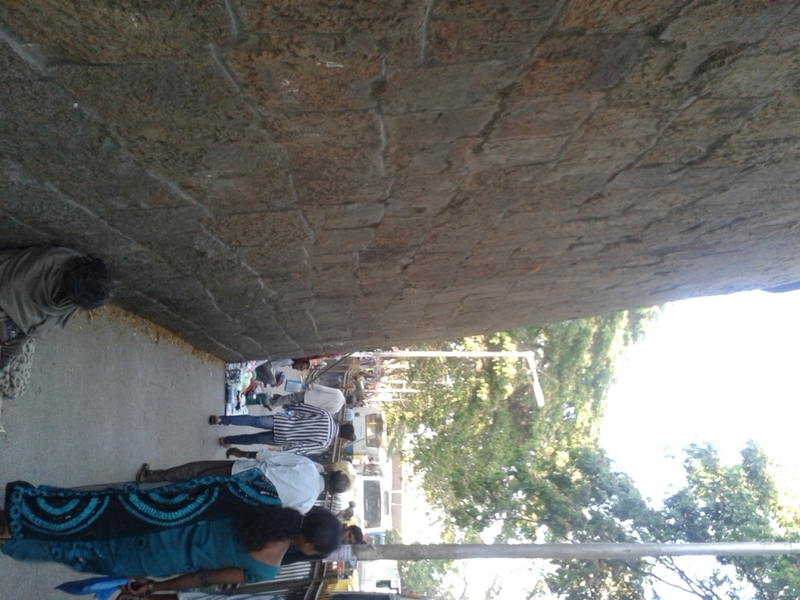 As you can see, it still has local devotees. I thought the varying colors and designs of these columns made an interesting photo. This is taken at Achyutaraya Temple, which is one of the more extensive standing structures at Hampi, though not necessarily the most well-preserved/restored. 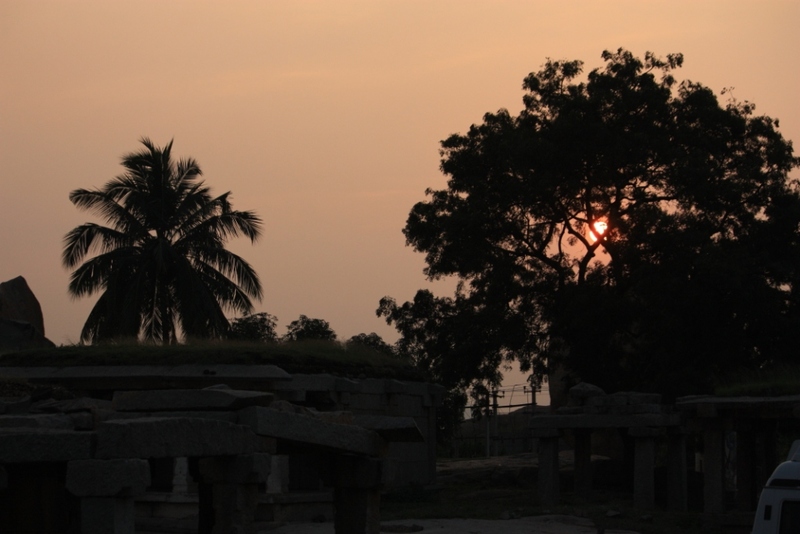 If one is on the Hampi Bazaar, walk away from Virupaksha Temple and toward the police station. Follow the steps that lie past the large bull sculpture, and when one gets to the top of the hill, just past the little Hanuman (the Hindu monkey-god) shrine, follow the fork to the right. One will soon see Achyutaraya temple down below. 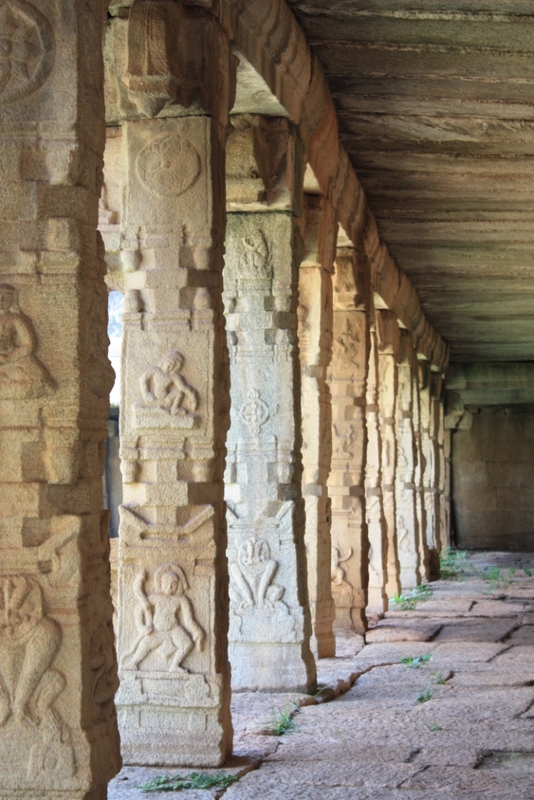 After visiting Achyutaraya, one can follow the flat land toward the Vittala Temple, which is sort of the crown jewel of Hampi. In the tropics the summer days seem so short and the winter days seem so long–at least if you grew up at 42°N (northern Indiana) and now you’re living at 13°N (Bangalore, India.) There’s no discernible adjustment in the length of days here. Maybe, if you’re a local. But it always gets dark around 6 at night and becomes light around 6am the next morning.